If you have an itch, you have to scratch it. But that's a problem for people with a condition called "chronic intractable itch," where that itchy sensation never goes away--a difficult-to-treat condition closely associated with dialysis and renal failure. In a new study, scientists from the Florida campus of The Scripps Research Institute (TSRI) describe a class of compounds with the potential to stop chronic itch without the adverse side effects normally associated with medicating the condition. "Our lab has been working on compounds that preserve the good properties of opioids and eliminate many of the side effects," said TSRI Professor Dr. Laura Bohn (photo). "The new paper describes how we have refined an aspect of signaling underlying how the drugs work at the receptor so they still suppress itch and do not induce sedation. Developing compounds that activate the receptors in this way may serve as a means to improve their therapeutic potential." In the study, which was published in the December 2015 issue of Neuropharmacology, a compound called isoquinolinone 2.1 was used to target the kappa opioid receptor, which is widely expressed in the central nervous system and serves to moderate pain perception and stress responses. The compound was effective in stopping irritant-induced itch, without causing sedation, in mouse models of the condition. The article is titled “Investigation of the Role of Beta Arrestin2 in Kappa Opioid Receptor Modulation in a Mouse Model of Pruritus.” Dr. Bohn noted isoquinolinone 2.1 is one example of a new class of "biased" kappa agonists that avoid many central nervous system side effects by preferentially activating a G-protein-mediated signaling cascade without involving another system based on β-arrestin protein interactions. The first author of this new study was Jenny Morgenweck. 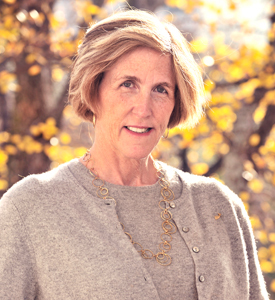 University of Texas (UT) Southwestern Medical Center physician-geneticist Helen Helen Hobbs, M.D., is the 2015 recipient of the prestigious Pearl Meister Greengard Prize. The prize recognizes Dr. Hobbs’ research, which advances understanding of heart disease and other complex disorders. The work of Dr. Hobbs, Director of the Eugene McDermott Center for Human Growth and Development at UT Southwestern and a Howard Hughes Medical Institute Investigator, is credited with leading to new therapeutics to lower LDL cholesterol. She will receive the prize on November 17 in a ceremony at The Rockefeller University in New York City. The international award from Rockefeller, which celebrates the achievements of outstanding women in biomedical science, was established by Dr. Paul Greengard, a biophysicist and Vincent Astor Professor at the Rockefeller, and his wife, Ursula von Rydingsvard, a sculptor. The $100,000 annual prize is named in honor of Dr. Greengard’s mother, who died giving birth to him. It is funded by Dr. Greengard’s donation of his monetary share of the 2000 Nobel Prize in Physiology or Medicine (shared among three scientists for discoveries concerning signal transduction in the nervous system), as well as donations from other generous Rockefeller supporters. “Dr. Hobbs’ work is nothing short of inspirational – she is unraveling the genetic underpinnings of cardiovascular disease and changing the way we look at one of the most common, complex health issues of our time,” said Dr. Greengard. Since 1999, Dr. Hobbs has led the Dallas Heart Study, a longitudinal, multiethnic, population-based investigation of risk factors underlying cardiovascular disease, the nation’s leading cause of death for both men and women. The study, originally funded by the Donald W.
Researchers from Ludwig-Maximilians-Universitaet (LMU) in Munich, together with colleagues based in Berlin, have developed a rapid and efficient technique for targeted chemoenzymatic functionalization of proteins. The new method has a wide range of potential therapeutic applications. Selective intermolecular recognition is at the heart of all biological processes. Thus, proteins that bind specifically to complementary chemical structures are also indispensable for many biochemical and biotechnological applications. Targeted modification of such proteins therefore plays a significant role in medical diagnostics and therapies. Now, researchers led by Professor Heinrich Leonhardt at LMU's Biocenter and Professor Christian Hackenberger of the Leibniz Institute for Molecular Pharmacology in Berlin have developed a new strategy that permits specific chemical modification of virtually any protein more rapidly and more efficiently than was hitherto possible. Their results were published online on September 25, 2015 in the journal Angewandte Chemie. 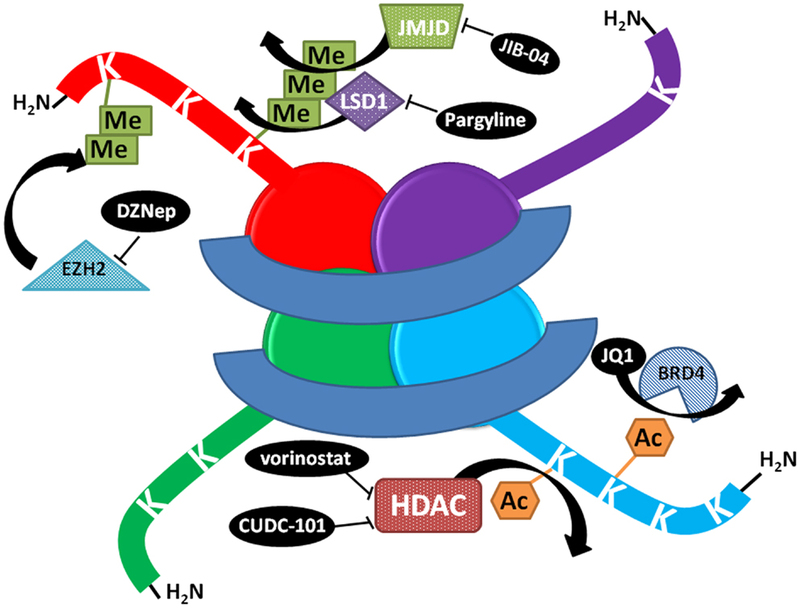 The article is titled “Versatile and Efficient Site-Specific Protein Functionalization by Tubulin Tyrosine Ligase.” Many of the methods routinely used in the biosciences are based on the specific modification of proteins, in particular antibodies, to endow them with novel properties for specific purposes. For example, chemotherapeutic agents used in the treatment of cancer are often chemically linked to antibodies that recognize antigens found only on the surface of the target tumor. In this way, the cytoxic drug can be delivered directly to the cells it is intended to eradicate. Ideally, the methods used to introduce such modifications should be as specific, efficient and versatile as possible. Unfortunately, the techniques currently in use fulfill these criteria only in part. A team of Harvard scientists and engineers has demonstrated a rechargeable battery that could make storage of electricity from intermittent energy sources like solar and wind safe and cost-effective for both residential and commercial use. The new research builds on earlier work by members of the same team that could enable cheaper and more reliable electricity storage at the grid level. The mismatch between the availability of intermittent wind or sunshine and the variability of demand is a great obstacle to getting a large fraction of our electricity from renewable sources. This problem could be solved by a cost-effective means of storing large amounts of electrical energy for delivery over the long periods when the wind isn't blowing and the sun isn't shining. In the operation of the newly-developed battery, electrons are picked up and released by compounds composed of inexpensive, earth-abundant elements (carbon, oxygen, nitrogen, hydrogen, iron, and potassium) dissolved in water. The compounds are non-toxic, non-flammable, and widely available, making them safer and cheaper than those used in other battery systems. "This is chemistry I'd be happy to put in my basement," says Dr. Michael J. Aziz, Gene and Tracy Sykes Professor of Materials and Energy Technologies at Harvard Paulson School of Engineering and Applied Sciences (SEAS), and project Principal Investigator. "The non-toxicity and cheap, abundant materials placed in water solution mean that it's safe -- it can't catch on fire -- and that's huge when you're storing large amounts of electrical energy anywhere near people." The research was published in the September 25, 2015 issue of the journal Science. The article is titled “Alkaline Quinone Flow Battery.” This new battery chemistry was developed by post-doctoral fellow Dr. The ultra-stable properties of the proteins that allow deep-diving whales to remain active while holding their breath for up to two hours could help Rice University biochemist Dr. John Olson and his colleagues finish a 20-year quest to create lifesaving synthetic blood for human trauma patients. In a new study featured as one of two papers of the week in the September 25, 2015 issue of the Journal of Biological Chemistry, Dr. Olson and colleagues Dr. George Phillips, Dr. Lucian Smith, and Premila Samuel compared the muscle protein myoglobin from humans, whales, and other deep-diving mammals. The article is titled "Apoglobin Stability Is the Major Factor Governing Both Cell-Free and In Vivo Expression of Holomyoglobin." Myoglobin holds oxygen for ready use inside muscle cells, and the study found that marine mammals have ultra-stable versions of myoglobin that tend not to unfold. The researchers found that stability was the key for cells to make large amounts of myoglobin, which is explains why deep-diving mammals can load their muscle cells with far more myoglobin than humans. 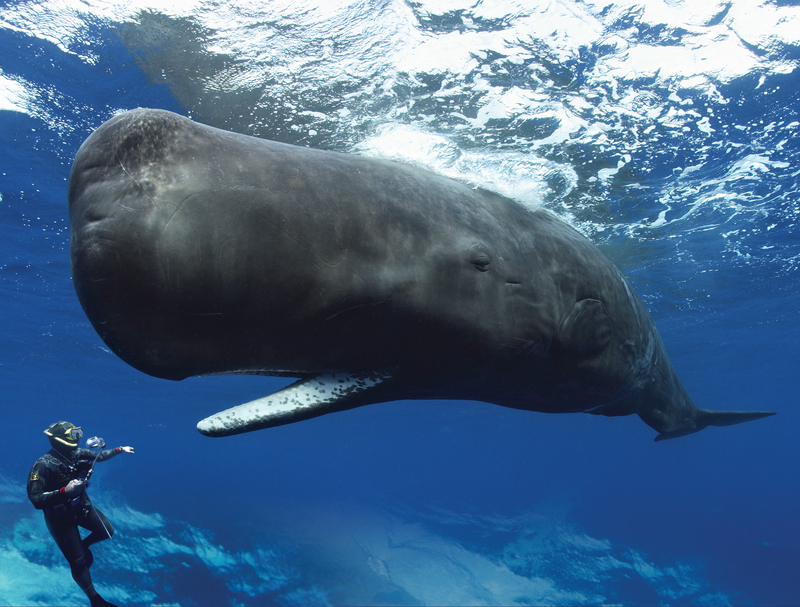 "Whales and other deep-diving marine mammals can pack 10-20 times more myoglobin into their cells than humans can, and that allows them to 'download' oxygen directly into their skeletal muscles and stay active even when they are holding their breath," said Dr. Olson, Rice's Ralph and Dorothy Looney Professor of Biochemistry and Cell Biology. "The reason whale meat is so dark is that it's filled with myoglobin that is capable of holding oxygen. But when the myoglobin is newly made, it does not yet contain heme. We found that the stability of heme-free myoglobin is the key factor that allows cells to produce high amounts of myoglobin." This finding is important to Dr.
A new analysis supports the hypothesis that viruses are living entities that share a long evolutionary history with cells, researchers report. The study offers the first reliable method for tracing viral evolution back to a time when neither viruses nor cells existed in the forms recognized today, the researchers say. The new findings were published online on September 25, 2015 in an open-access article in the journal Science Advances. The article is titled “"A Phylogenomic Data-Driven Exploration of Viral Origins and Evolution.” Until now, viruses have been difficult to classify, said University of Illinois at Urbana-Champaign Crop Sciences and Carl R. Woese Institute for Genomic Biology Professor Gustavo Caetano-Anollés, Ph.D., who led the new analysis with graduate student Arshan Nasir. In its latest report, the International Committee on the Taxonomy of Viruses recognized seven orders of viruses, based on their shapes and sizes, genetic structure, and methods of reproducing. "Under this classification, viral families belonging to the same order have likely diverged from a common ancestral virus," the University of Illinois authors wrote. "However, only 26 (of 104) viral families have been assigned to an order, and the evolutionary relationships of most of them remain unclear." Part of the confusion stems from the abundance and diversity of viruses. Fewer than 4,900 viruses have been identified and sequenced so far, even though scientists estimate there are more than a million viral species. Many viruses are tiny - significantly smaller than bacteria or other microbes - and contain only a handful of genes. Others, like the recently discovered mimiviruses, are huge, with genomes larger than those of some bacteria. In the October 2015 issue of Human Mutation, a team of geneticists, including investigators at Brigham and Women's Hospital (BWH), has announced the launch of the Matchmaker Exchange - a platform that the rare genetic disease community can use to share information and find new connections. The Matchmaker Exchange platform connects databases of genetic information and symptoms that physicians and investigators can "match" with a patient's rare disease." In the past, searching for the cause of a rare genetic disease was like trying to find a needle in a haystack. There would be an occasional, serendipitous connection made by a clinical laboratory or individual investigator of two patients who shared the same rare disease, but there was no systematic way to find these matching cases," said Heidi Rehm, Ph.D., a molecular geneticist at BWH and Director of the Laboratory for Molecular Medicine at Partners HealthCare Personalized Medicine. "Matchmaker Exchange offers a reliable, scalable way to find matching cases and identify their genetic causes." The Human Mutation article is titled “The Matchmaker Exchange: A Platform for Rare Disease Gene Discovery." 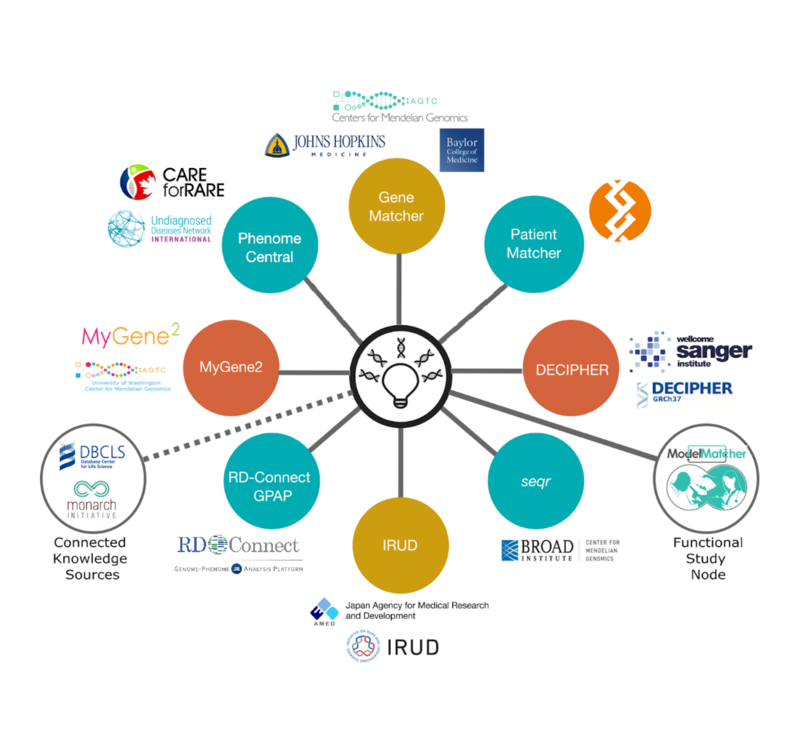 Matchmaker Exchange (MME) 1.0 brings together multiple databases and programs and harnesses collective data from across rare disease repositories. The platform allows investigators to search the databases and uncover similar symptoms and genetic profiles, using standardized application programming interfaces (APIs) and procedural conventions. Using a federated network approach, MME protects the privacy and security of patient data while connecting the databases through APIs. The development of brain metastases is a devastating complication of cancer, leading to the death of more than half of patients whose cancer spreads to the brain. A new study finds that, while brain metastases share some genetic characteristics with the primary tumors from which they originated, they also carry unique genetic mutations, indicating that the evolutionary pathways of the metastatic and the primary tumors have diverged, which may change sensitivities to targeted therapy drugs. The report from an international collaboration was published online on September 26, 2015 in Cancer Discovery to coincide with a presentation at the European Cancer Congress and European Society for Medical Oncology meeting in Vienna, Austria. "Our study demonstrates that, while brain metastases and primary tumors share a common ancestry, they continue to evolve separately," says Priscilla Brastianos (photo), M.D., Director of the Brain Metastasis Program at the Massachusetts General Hospital (MGH) Cancer Center, co-lead and co-corresponding author of the Cancer Discovery paper. "This is tremendously important, as we demonstrate that brain metastases may have clinically significant mutations that have not been detected either in the primary tumor biopsy or in metastases from other parts of the body. We also showed that multiple brain metastases from the same patient share nearly all clinically significant mutations." The Cancer Discovery article is titled “Genomic Characterization of Brain Metastases Reveals Branched Evolution and Potential Therapeutic Targets.” Brain metastases commonly develop from melanomas, lung, or breast cancers and can appear despite the primary tumor's being well controlled by drugs that target mutations driving its growth. A drug that blocks the pathology of the intestinal pathogen Clostridium difficile (C. difficile) without killing resident, beneficial microbes may prove superior to antibiotics, currently the front-line treatment for the infection,according to results of a recent study by researchers at the Stanford University School of Medicine. The drug, ebselen, inactivates two toxins produced by the bacterium, halting the pathology, without killing the bacterium. By not aiming to kill the pathogen with antibiotics, scientists were able to avoid wiping out sizable numbers of beneficial gut microbes. And while their study was performed in mice, the drug used has already been tested in clinical trials to treat other, unrelated conditions. Consequently, the researchers believe it could be moved rapidly into human trials for the treatment of C. difficile, as well. The findings, published online on September 23, 2015 in Science Translational Medicine, constitute the first-ever demonstration of a small molecule’s ability to disarm C. difficile without provoking the collateral damage caused by antibiotics. The article is titled “A Small-Molecule Antivirulence Agent for Treating Clostridium difficile Infection.” C. difficile is responsible for more than 250,000 hospitalizations and 15,000 deaths per year in the United States, costing the country more than $4 billion in health-care expenses, said the study’s senior author Matthew Bogyo, Ph.D., Professor of Pathology and of Microbiology and Immunology. Lead authorship of the study is shared by Kristina Bender, Ph.D., a former postdoctoral scholar in Bogyo’s lab, and Megan Garland, a student in Stanford’s Medical Scientist Training Program. “Unlike antibiotics — which are both the front-line treatment for C.
A combination of two drugs, one already approved by the Food and Drug Administration, appears to be effective at shrinking pancreatic cancers in laboratory mice, according to a new study by researchers at the Stanford University School of Medicine. The drugs, which affect the structure and function of the cancer cell’s DNA rather than the activity of its proteins, also slowed the growth of human lung cancer cells in mice. The study clarifies the potential of these types of drugs for treating diseases. The researchers hope to soon test the drug combination in humans with pancreatic cancer. “Pancreatic cancer is one of the deadliest of all human cancers, and its incidence is increasing,” said Julien Sage, Ph.D., Associate Professor of Pediatrics and of Genetics. “Nearly always, the cause of the disease seems to be a mutation in a gene called KRAS, which makes a protein that is essential for many cellular functions. Although this protein, and others that work with it in the Ras pathway, would appear to be a perfect target for therapy, drugs that block their effect often have severe side effects that limit their effectiveness. So we decided to investigate drugs that affect the DNA rather than the proteins.” Dr. Sage shares senior authorship of the study, published online on September 21, 2015 in Nature Medicine, with Jens Siveke, M.D., Professor of Medicine at the Technical University of Munich (TUM). Stanford postdoctoral scholar Pawel Mazur, Ph.D, shares lead authorship with postdoctoral scholar Alexander Herner, M.D., of TUM.